Expats in Prague know that it's not the cheapest city in the world, especially since it joined the European Union, but it's still a lot cheaper than most European capitals, especially in terms of food and transportation. Even accommodation has become more affordable as the gap between central and suburban real estate prices have narrowed. On a general note, Prague has become even more of a European attraction that it already was, both for tourists and those who are planning permanent residence. Home rentals in Prague can vary widely depending on market demand. During off-season, the average price can be as low as CZK 1500 a month but may go up to about CZK 6000. Properties in Prague generally differ on the basis of their proximity to the city center and also on the type of ownership, which can either be private or cooperative, the latter being at least 10% cheaper. Expats who are considering renting an apartment in Prague will also find that first floor apartments are the cheapest compared to other units in the building. Monthly rent for 1 bedroom in flatshare with an attached bathroom costs 8625 to 140 Kč, while monthly rent for a 2 bedrooms furnished flat is 69,000 - 12,000 Kč, while rent for a 3-bedroom furnished flat costs 150,000 - 13,900 Kč. Expatriates are allowed to buy real estate properties in Prague based on their EU citizenship. EU citizens are allowed to buy properties without a visa but must provide a worthwhile reason for residing in the city such as employment, studies or business. On the other hand, non-EU residents need a visa and a green card obtained by marrying a Czech citizen or by living in the country for at least seven years. There are three main categories of real estate for sale in Prague: The lower range is CZK 22,000/ m2 to CZK 41,000/m2 which is attractive for buy-to-rent investors; midrange prices run from CZK 41,000/m2 to CZK 85,000/m2 and apply to above average homes with good amenities and construction; the third group consists of the upper range of CZK 85,000m2 to CZK 200,000/m2 which rank well among Europe's most luxurious homes. Prague is one of the cheapest cities in Western Europe in terms of eating out. A hearty lunch in a pub may be enjoyed for CZK 130 while dinner for two in an average restaurant can cost as little as CZK 570. 1 Daily menu in business district costs 131 Kč while a dinner out for two in an Italian restaurant with wine and dessert 869 Kč. 1 Big Mac Meal costs 120 - 140 Kč. Expats can, of course, save money by cooking meals at home. At the supermarket, a dozen eggs cost about CZK 36, a whole chicken about CZK 55 and a liter of milk costs CZK 18. A kilo of apples is around CZK 35 while a liter of water is CZK 10. A typical monthly household bill in Prague consists of around CZK 2800 for gas and electricity. For a landline phone, the cost is around CZK 600, while a mobile phone is about CZK 200 (largely dependent on usage) while an ADSL connection is typically 300 - 500 Kč per month. 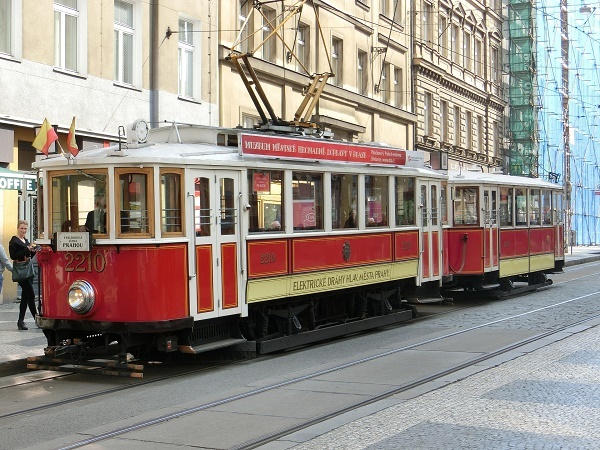 A single commuter in Prague usually spends about 555 Kč on monthly passes for public transport. A taxi ride of about 5 kilometers within the central city area costs approximately CZK 192. From the airport to the city, the cost is CZK 600, while a commute within the downtown area costs on average CZK 200. One inner city bus ticket costs 24 to 32 Kč. Food and public transport are two of the most affordable commodities in Prague, but expats may find luxurious items such as mobile phones, gadgets and electrical appliances expensive. Still, on a positive note, the city is significantly cheaper than most European capitals.